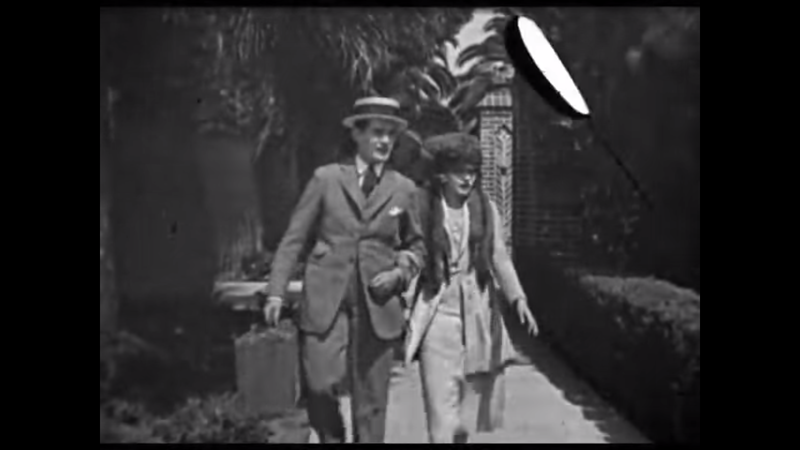 No Vacancies (1923) initially looks as if it will speak across the decades to the anxieties of Generation Rent, as a young couple attempt to snare their first flat in a trying market. But it soon becomes a hectic ensemble comedy set in a swanky apartment block. And all jolly good fun until the end. More chaotic comedy comes in Service A La Bunk (1921), in which Bobby Ray plays a hapless waiter making a mess. A little of this sort of thing goes a long way with me, but interesting to see Ray, which had a long career on both sides of the camera doing his stuff. A Citrate Special is the biggest oddity, and greatest mystery here. This undated scatological short has a largely unidentified cast. Model speculates in the valuable introductory cards that appear for each film that it may not have been intended for release, just a studio in-joke. The plot, such as it is, features a director getting caught short on set, and needing to find a toilet pronto. Highbrow it isn’t, but I will admit I chuckled. 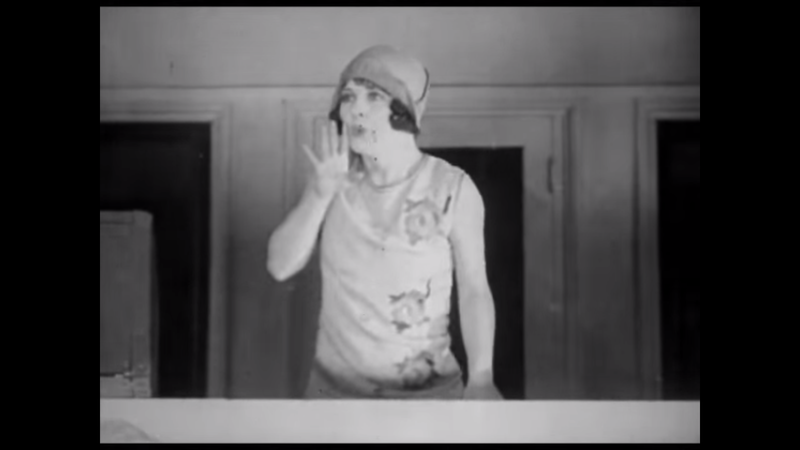 Love’s Young Scream (1928), was stronger on plot and chuckles both, with Anne Cornwall and Jimmy Harrison as eloping lovers and some cute illustrated intertitles in between the slapstick. I thought this was a hoot, and it had real charm too. Courtesy Model, their romantic hi-jinks and crazy car chases play out to a light, nimble, organ score. All the music on this disc is first rate as you’d expect, on both piano and (virtual) organ, thanks to a composer who probably knows these movies better than anyone else on the planet. It is all played and composed by Ben Model apart from the final snippet, a “Kidland Komedy” from 1928 called Half a Hero. All that remains is the second reel, and it comes with the soundtrack from its 1930 rerelease. As you’ll guess, we have another child actor here, little Billy Barty who, the caption informs us, started performing in films aged three in 1927 and worked until his death in 2000. Astounding. The voices on the soundtrack may jolt you, but it’s an insight into how these movies were seen beyond the silent era – and without that market, of course, we wouldn’t have these films at all. I haven’t had a chance to talk in detail about the films on this disc, but that seems to be in the spirit of the project – the idea of Accidentally Preserved is to show us just how much is out there to discover. 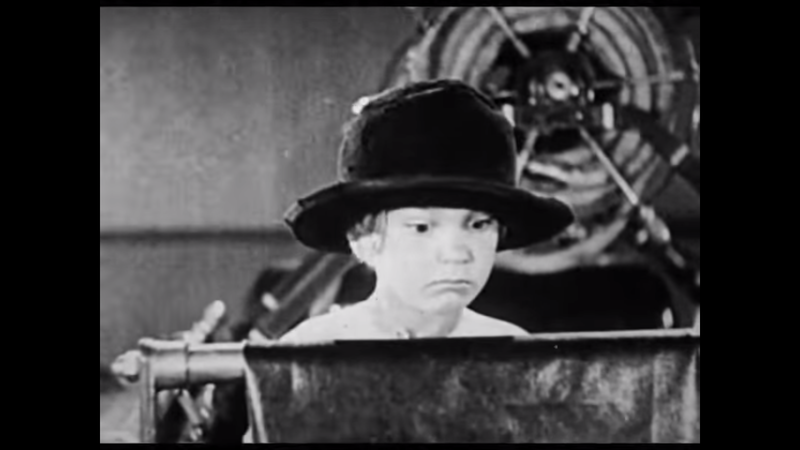 There has always been more to silent comedy than meets the eye, and Ben Model knows that better than anyone. You can order Accidentally Preserved Volume Three on Amazon, here.